“But grow in the grace and knowledge of our Lord and Savior Jesus Christ.” 2 Peter 3:18a. 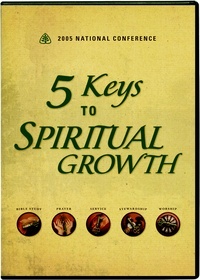 In this series of lectures from Ligonier Ministries’ 2005 National Conference, Drs. Mark Dever, J. Ligon Duncan III, John MacArthur, R.C. Sproul, and Derek Thomas discuss the five key disciplines of Bible study, prayer, stewardship, service, and worship. With practical sensitivity and concern for biblical fidelity, they explain how each of these disciplines contributes to our spiritual growth.